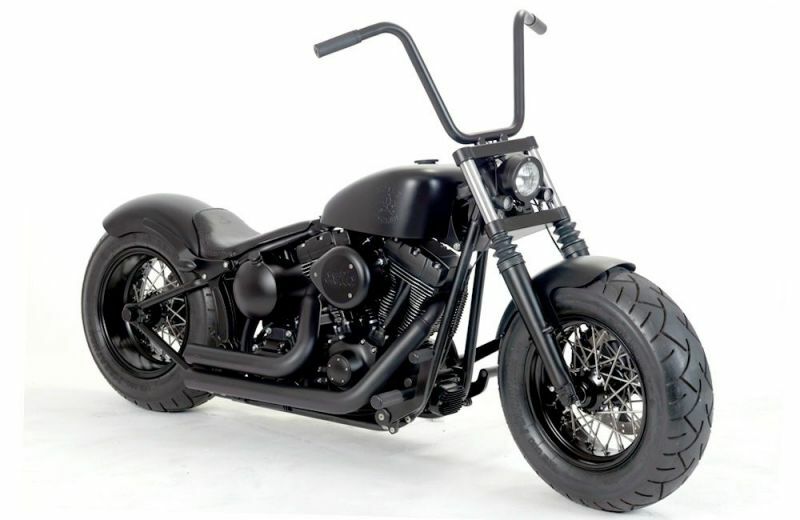 This tough guy ended up looking extremely different than the 2008 Harley Softail Deluxe that we started out with! 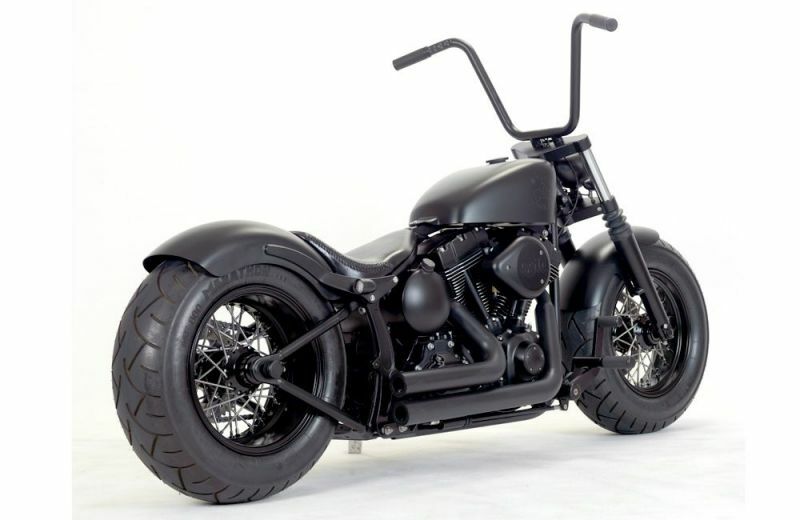 Tons of satin black powder-coat ensures that every inch of this bike has attitude. 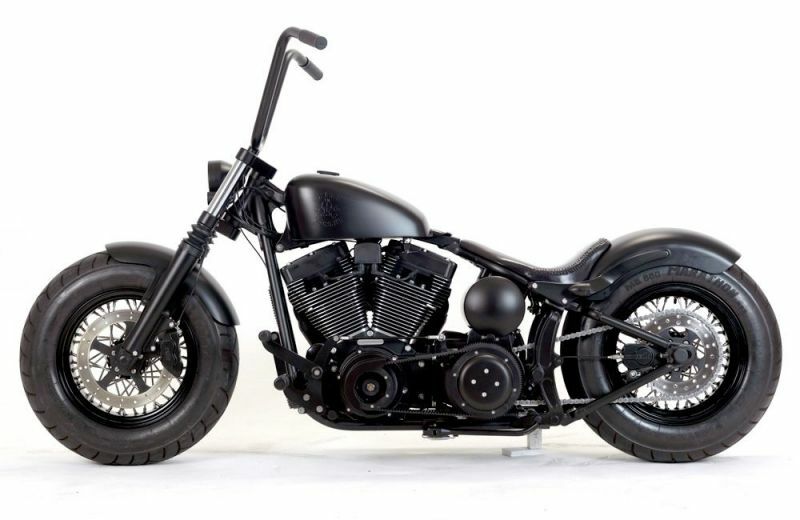 This bike features around $18,000 of parts from our catalog, plus some minor fabrication work, paint, powder-coat, etc.